Football Darts Game, Darts Football is amusement inflatable of combining football and dart board in fun, kicking the balls like darting and playing soccer indoor and competing with scores. 3) Product Size: height 2m, 3m, 3.5m, 4m, 5m, 6m etc. 4) Repair kit, such as spare material, glue and air valve etc. 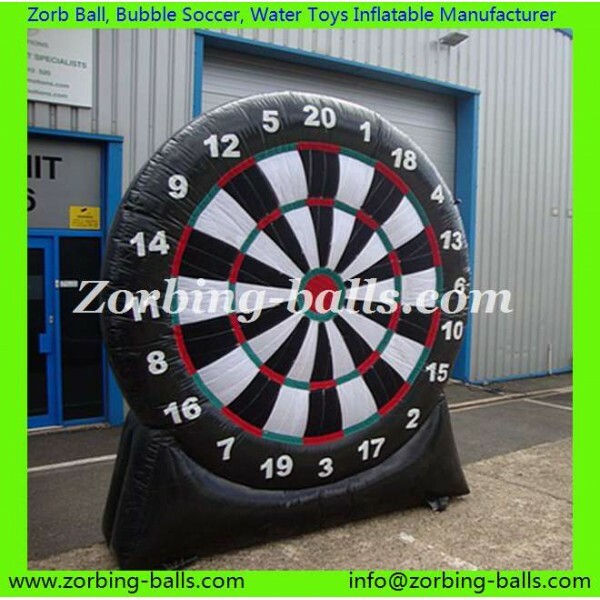 1) Get a quote: email us zorbing-balls@hotmail.com sending item no, quantity and country.